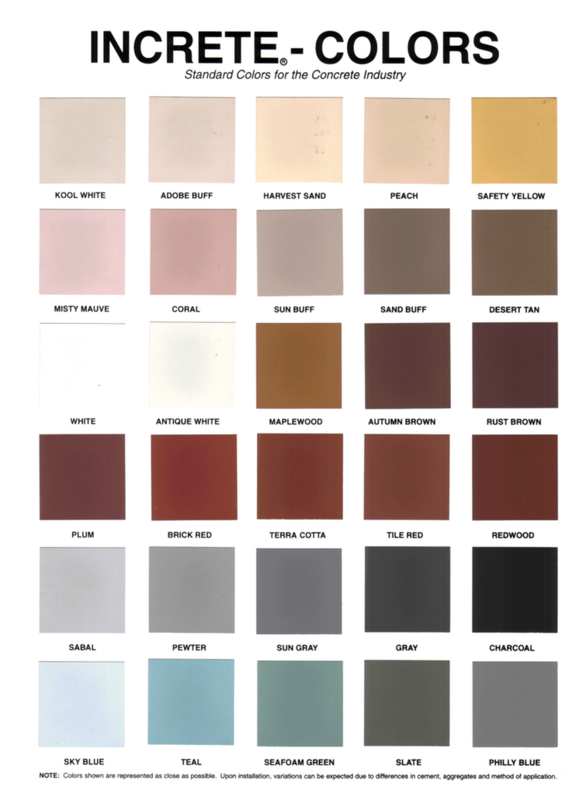 Our Color Hardener is used to topically color the wet surface of freshly poured concrete. 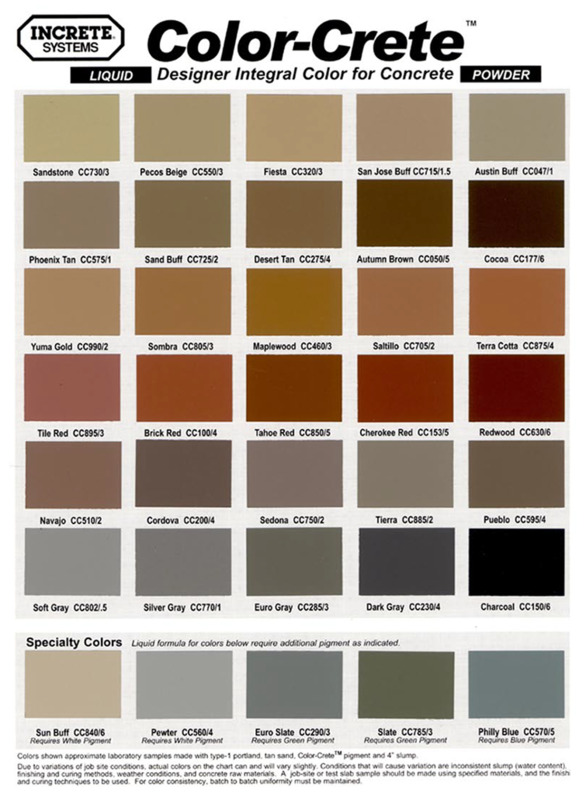 Our Color Hardener is available in 30 standard colors and is a great alternative to integral coloring of concrete should your customer desire a more ‘extreme’ colored surface underneath a pigmented sealer as is a fairly typical occurrence among clients in the greater Kentucky area. Release Powder is used as a secondary coloring system for stamped concrete. Our powder release is available in 30 standard colors. The release agent is needed while stamping your surface to ‘release’ the wet concrete from your stamping tool. Using a tinted powder release will add more depth to the texture of your stamped concrete job. See the directions below for details on when in the stamping process this product would be used.